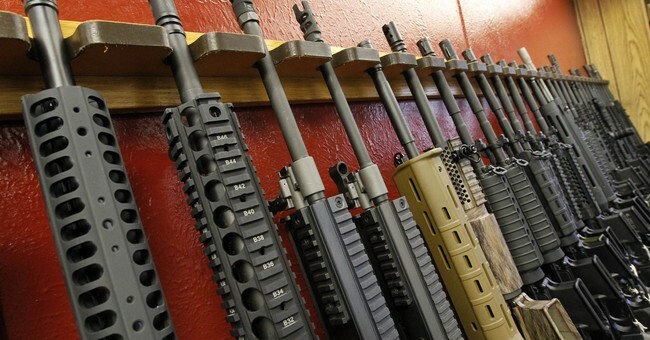 LISTEN: Triggered Podcast: The War On Gun Rights Goes Quiet. Also, Is This Disney Song Now...Problematic? We’re back, folks. It’s a brand new week. We’re closer to Christmas. And we have the Washington Free Beacon’s Stephen Gutowski with us. He made the long and arduous journey into our studio, where he detailed the latest story he broke about a Harvard graduate student from Alabama, whose roommates ripped her room apart because they thought she owned guns. She does own firearms. They’re legal. And the reason she has them is because she’s a domestic violence survivor. Her awful roommates searched her rom while she was away. They said she was from Alabama and wore a MAGA hat so they assumed she had something. It just comes to show you that having liberal roommates is a bad idea if you’re a conservative. These people hate us—and here’s your daily reminder. Gutowski also spoke about the bump stock ban, the latest “bullet bill” out of Detroit; you need a background check for ammo purchases, and New York’s proposed revision to her handgun permit law, where they want applicants to present a social media and Google search history. It’s overreaching. It’s creepy. It’s possibly unconstitutional. We also honor the life and public service of the late President George H.W. Bush, who passed away at the age of 94 last Friday. Bush 41 was the vice president of the United States, the U.S. Ambassador to the UN, CIA director, RNC chairman, and a congressman. He’s done it all—and he should be a role model and beacon to those who give their lives in service to their country. We tried to close early, but Gutowski plunged us into an in-depth debate over which songs were problematic in today’s Me Too era. Is Kiss The Girl from The Little Mermaid or Baby It’s Cold Outside more…suggestive? You decide.